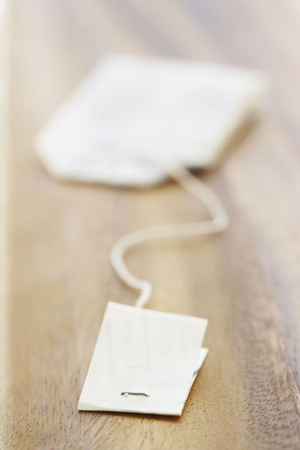 When water has boiled, add the tea bags to steep. Leave in for 10-15 minutes, or until tea is dark and cool enough to touch. In the meantime, take a shower to ensure your skin is oil- and sweat-free. Afterward, make sure skin is completely dry. Note: Tea will stain clothes if wet, so make sure you’re all dry before dressing. The “tan” should last three to four days. Optional: For bonus color, mix cocoa powder into body lotion until you reach desired color and apply for an all-over bronzing boost. Are You What You Eat? By Jenna Hammond How diet affects complexion. Autumn Proofing Your Skin By Joshua L. Fox, M.D. The key to great skin as the season changes.